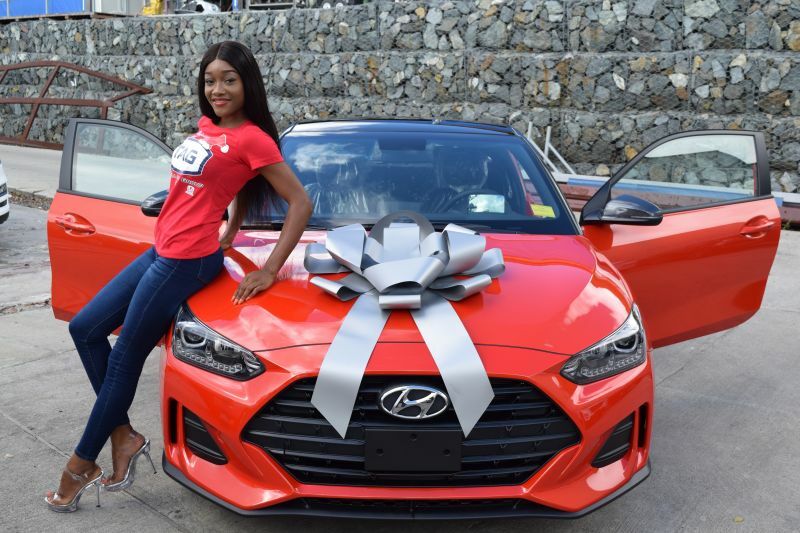 ROAD TOWN, Tortola, VI - Former Miss World BVI and BET’s Music Matters performer, Sasha O. E. Wintz was on hand to help unveil the spanking new 2019 Hyundai Tucson and Creta as the Tortola Auto Group (TAG) launched ‘Christmas At TAG’. This is according to a press release from TAG, dated December 1, 2018, which stated that the company has partnered with CIBC FirstCaribbean International Bank to ‘make dreams come true this Christmas’. 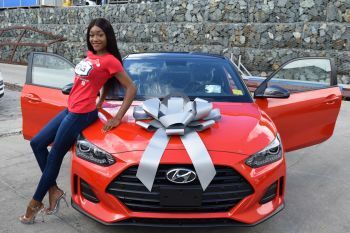 “This year’s Christmas at TAG sales promotion runs until December 31st and provides new car buyers with the opportunity to own newly released 2019 Ford, Honda and Hyundai models with deals that include 100% financing of the vehicle, no bank instalment until April, 2019 and a super-low interest rate,” the release notes. TAG is also offering one-year free insurance and vouchers to shop at any of RiteWay Food Market stores across the Territory. “Christmas is a time of love and family and we are extending an invitation for new car buyers to join the TAG family. This is a once in a lifetime opportunity with the financing deal we have assembled with the help of our friends at CIBC FirstCaribbean Bank. 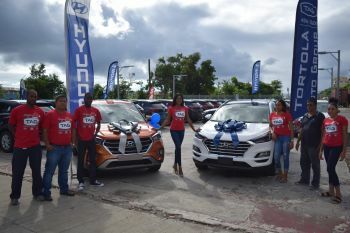 Our new 2019 models are here with trendy exterior upgrades and new safety features,” said Mr Daniel Singh, TAG’s General Manager. Among the new models are the Hyundai Tucson, which, according to TAG is the #1 selling SUV in the Territory and the Creta, the favourite compact SUV for many buyers. “This is the first major upgrade for the Tucson in the past three years… The new Tucson’s refreshed look immediately hits you, from its redesigned headlamps and radiator grill to its dynamic-looking wheel designs, rear combination lamps and rear bumper,” Mr Singh explained. The 2019 Creta, Singh stated, takes a sportier approach to the overall styling, giving it an aggressive stance. TAG will host a showcase at its Slaney Point location on Saturday, December 15 from 9 a.m. where visitors can learn more about the new vehicles. There will be music, food and drinks along with fun activities.